The David Ross Education Trust is a network of unique and diverse academies, working with with 34 primary and secondary academies across the East Midlands, Yorkshire, the East of England and London. As a leading multi-academy trust, we are committed to giving every student attending one of our schools a world-class education. 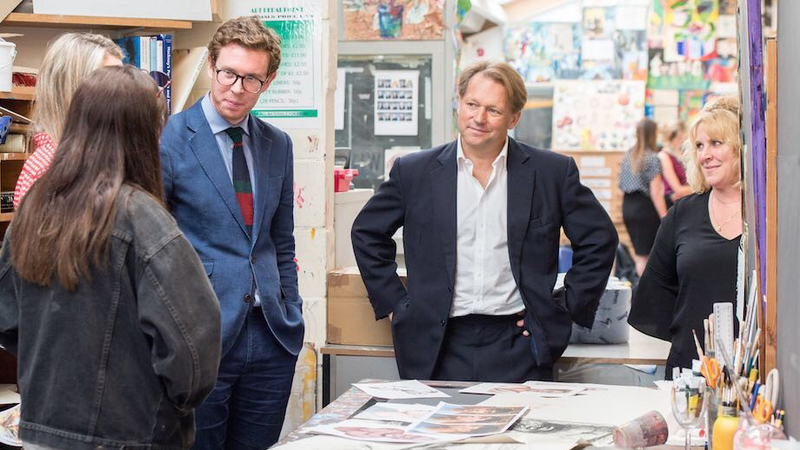 DRF is delighted to announce that David Ross has become the new Chair of the Board of Trustees at the National Portrait Gallery. Dr Nicholas Cullinan said : “ David’s passion and commitment to the arts and keen interest in education and inspiring the young will prove invaluable as we embark on our ambitious plans to reach out to new audiences across the UK.” DRF supports a number of organisations and projects across a range of artistic fields and is an ardent supporter of providing greater access to the arts for all. On Tuesday 16 May 2017 the David Ross Sports Village (DRSV) was officially opened, with students, Olympians, alumni and guests joining the celebrations. I am cycling 171 miles for The David Ross Foundation. Photo's from the day! 171 inspirational miles with a great team Let's get supporting the David Ross Foundation. The David Ross Foundation We want to inspire children to broaden their horizons. Official opening of the David Ross Sports Village. Olympic table tennis champion Dr Deng Yaping and gold medal-winning canoeists, Dr Tim Brabants MBE and Etienne Stott MBE, were among the line-up of sporting legends who joined fellow alumni David Ross and UK Sport CEO Liz Nicholl for the celebrations. The £40 million sports village is a state-of-the-art facility on University Park campus. It includes an indoor fencing salle, dance and spin studios, an all-glass squash court, an outdoor full-sized 3G rubber crumb pitch, tennis courts and gym. 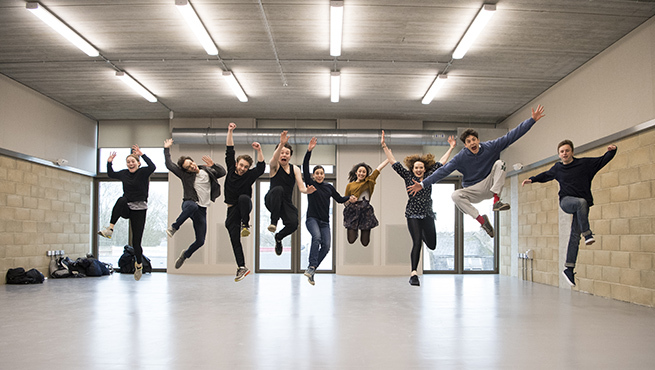 Vice-Chancellor of the University of Nottingham Professor Sir David Greenaway said the centre was the fitting environment to engage students and staff, whatever their interests, and inspire the sports stars of the future. He said: “From David Ross’ generous donation, to the support of our Olympians, the scope and scale of alumni talent is clear. To be successful at anything takes drive, grit, determination and practice. Our alumni have been showcasing these attributes for many years and I have followed their achievements with pride, knowing Nottingham may have laid the foundations for some of their successes. Today we celebrate a physical foundation, a complex of sporting facilities to be proud of and one which will inspire the next generation of athletes.”. 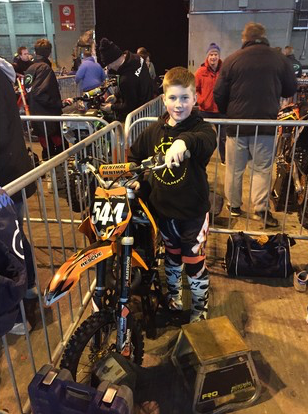 We want to inspire children to broaden their horizons. Work has just started on a new 400-seat opera house in the Harborough district, which is likely to become a jewel in the crown of the midlands arts scene. The opera house, within a Grade II* listed stable block at Nevill Holt Hall, about six miles north-east of Market Harborough, will be the first to be built in England for more than a decade. The driving force behind the remarkable development is wealthy hall owner David Ross (51), the Carphone Warehouse founder, one of the UK’s most successful businessmen and a major supporter of opera. Mr Ross’s goal is to replace the current temporary theatre at the hall with the perfect venue for young opera stars, performing to a regional audience. Local school children will also feature in many productions. The aim is to have the ambitious, multi-million pound adaptation finished in time for Nevill Holt’s 2018 opera season. Nevill Holt Opera’s (NHO’s) artistic director Nicholas Chalmers told the Mail this week: “Work has already begun on site – they’re excavating the foundation at the moment. It’s a huge project and we’re delighted that the David Ross Foundation has invested in this. It’s so exciting.” General manager Rosenna East said: “We are sincerely grateful to all those who have helped us reach this landmark moment for NHO. Carphone Warehouse founder David Ross is bidding to build the first new permanent opera house in England in just over a decade. Mr Ross wants to transform the listed stables at his stately home in Leicestershire into a 400-seat opera theatre. 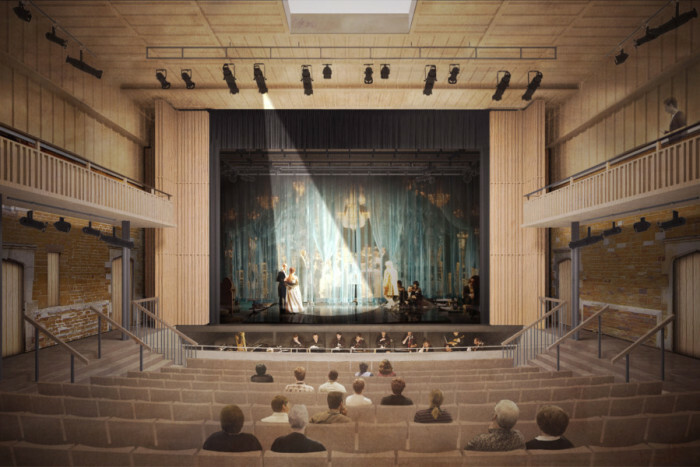 If approved, construction will start at the Nevill Holt Opera in late 2016. Mr Ross's goal is to replace the current temporary seating with "a perfect venue" for young opera stars. The current structure at Nevill Holt Hall, near Market Harborough, can seat up to 350 but is "inadequate and beyond effective economic repair", Nevill Holt Opera general manager Rosenna East said. Operas have been staged at Mr Ross's home since 2013, but a temporary structure has been used by touring companies for a decade. The DRET Summer Cup 2016 was a festival of competitive sport attended by over 1,500 students and a host of elite athletes. This year's special guests included Roger Black MBE, Colin Jackson CBE, Rebecca Adlington OBE and Beth Tweddle MBE to name but a few. Havelock Academy hosted the big event yesterday, which saw Loughborough Lightning and England netballers Jo Tripp and Natalie Panagarry and former Manchester United footballer Danny Webber helping out with special master classes for the pupils. EXCITED schoolchildren were left thrilled by some super skills at the annual David Ross Education Trust (DRET) Primary Cup North. There were seven primary schools from across the northern DRET cluster at Havelock for the fun-packed day. Havelock Academy hosted the big event yesterday, which saw Loughborough Lightning and England netballers Jo Tripp and Natalie Panagarry and former Manchester United footballer Danny Webber helping out with special master classes for the pupils. Football freestyler Dan Magness was also there to showcase some of his ball skills to the impressed youngsters, and teach them a few new tricks! THE search is on to find the most deserving community-based groups in North East Lincolnshire. Special guests Denise Lewis​, Gabby Logan​ & ex Wasps Scotland Rugby Kenny Logan​ Join David Ross at DRET Summer Cup 2015. The David Ross Education Trust Summer Cup 2014 A dozen elite athletes, including Dame Kelly Holmes. Visitors can now traverse the whole perimeter of Lincoln Castle for the first time in its 947-year history because of the huge improvements made to the walls. And Princess Anne was also shown the Victorian prison, plus the showpiece David PJ Ross Magna Carta Vault, where she met the benefactor which gave it its name. David Ross has become Grimsby's first billionaire, according to the latest rich list. The former Carphone Warehouse boss is the fifth richest person in the East Midlands and the 108th richest in the country according to the Sunday Times Rich List. HELPING HAND: Helping children in disadvantaged areas of the city get to university. Ross has set up the David Ross Foundation and David Ross Educational Trust. 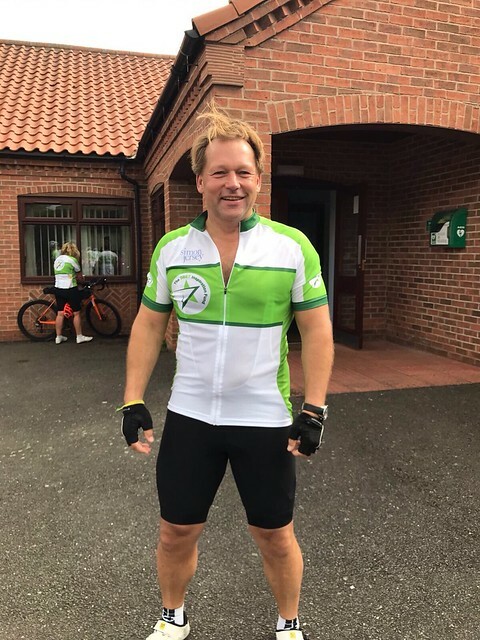 Through these charities, he has put significant money into Nottingham Potential, an initiative of David Greenaway, the vice chancellor of the University of Nottingham who wants to help children in disadvantaged areas of the city get to university. 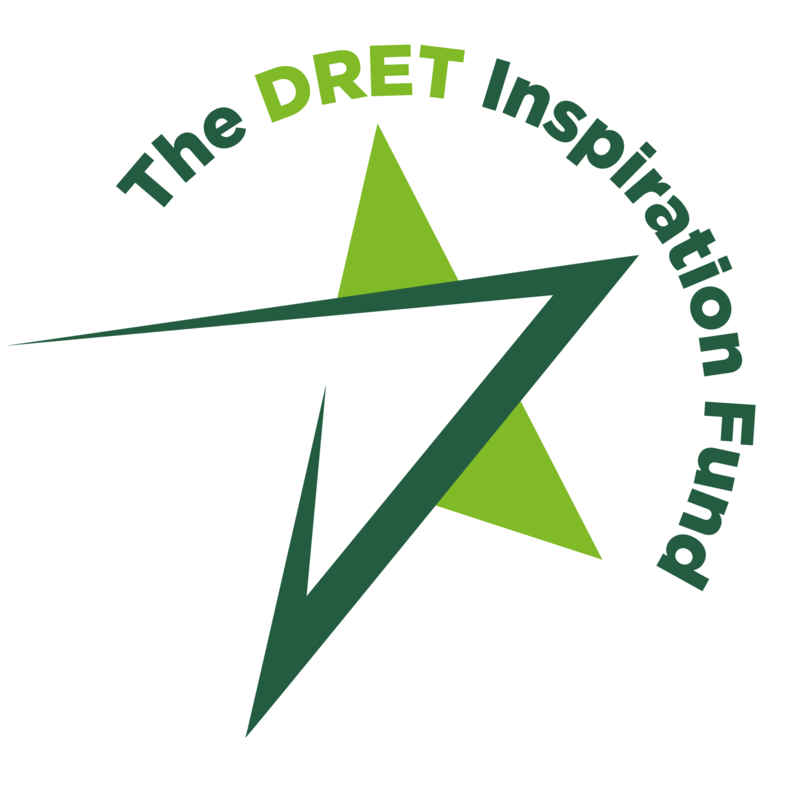 Tyler Ethridge, age 9, was awarded the Odey Scholarship as part of a programme run by the David Ross Education Trust (DRET). 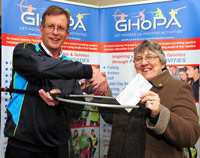 HELPING HAND: Gill Ross, representing the John Ross MBE Community Trust Fund, presents a £500 cheque to Andy Smith, director of the Get Hooked On Positive Activities community project. David said: "Since the John Ross MBE Community Fund was established, nearly £50,000 has been donated to local good causes and charities. "There has been some national attention on Grimsby, and particularly the East Marsh, over recent weeks and months. "While some of this has been less than positive, through the academies in my education trust I see on a daily basis that there is a great deal that we should be proud of. "Our young people show huge potential. Our community provides a supportive and caring environment and we are seeing progress and development in the town." Our new state-of-the-art £40 million David Ross Sports Village will help take sport at Nottingham to the top. It promises to be a fantastic new addition to University Park Campus providing all our sports teams and clubs with a great range of innovative new facilities in a lively and inclusive environment. While construction is underway temporary facilities will be available. Our vision for sport is bold and ambitious. The new development will help us increase participation in sports at all levels and provide the support people need to develop and excel, whether you're a casual player or an elite athlete. Modern Masters from the David Ross Collection' features Bridget Riley's dynamic visual waves and the emotionally arresting and exquisite Gossip by Howard Hodgkin. William Cash previews the show. Previously unseen and important British country house art collections do not often travel en masse. Maybe the odd picture is crated off to a loan exhibition at the Met, or the Ashmolean or the Venice Biennale (such as the Franchetti Collection this summer). But an art gallery on the university campus of Nottingham? As ever David Ross has revealed himself to be bold, radical and innovative. The John Ross MBE Community Trust Fund, which has handed out more than £50,000 to scores of worthy causes across North East Lincolnshire, is appealing for more groups to come forward for the next round of funding. The trust, set up in 2011, followed the death of the fishing industry figure John Ross MBE. It has helped many small community groups to buy new equipment, improve facilities or simply stay afloat, and was set up by John Ross' son David Ross. The Nevill Holt Opera, which is hosted by David Ross who founded Carphone Warehouse, is fast becoming one of the highlights of the British Summer Social Season and it has sold out in record time this year. It was launched as an independent opera festival in 2013 and takes place in a beautiful and unique stately home setting. General Manager Rosenna East is extremely busy with preparations for this year’s performance but she managed to find some time in her diary to give readers of The Sloaney a preview of the event. WHY IS OPERA SIGNIFICANT TO NEVILL HOLT? Our founder patron, David Ross, has imported opera to Nevill Holt for over a decade. There is a history and also an appetite from the local audience. Over the last two years it has taken a step up in significance as we are now creating our own work, rather than just featuring other people’s touring productions. The stable block theatre dates back to the 16th century and is a very unique place to hear opera – it is unlike anywhere else! 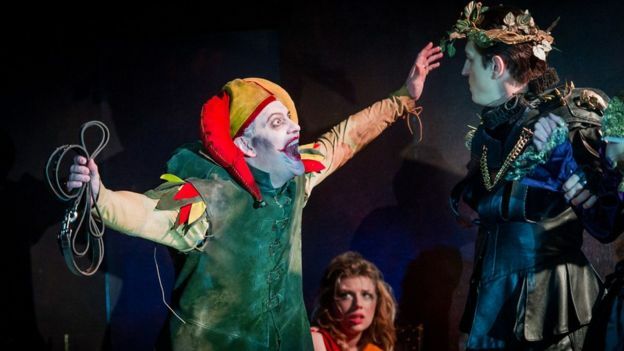 Ambitious plans to create a permanent theatre in the hamlet of Nevill Holt have been revealed. Businessman David Ross, who owns Nevill Holt Hall and the entire hamlet of Nevill Holt, told the Mail this week about his “ambitious and major plans” to create a permanent theatre at the site which would blend sympathetically with the historic stable block near the hall. At the moment, he has planning permission for a temporary theatre. Mr Ross told the Mail his team plans to work with English Heritage to make a “significant investment” in creating a permanent site. Work could start next year or in 2016, depending on planning permission. 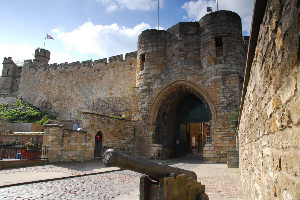 The Historic Lincoln Trust has secured a £1.4m donation for the Lincoln Castle Revealed project. The generous donation is being made by the David Ross Foundation, which helps children and young people discover their strengths through a wide-range of world-class opportunities focusing on education, sports, arts and the community. The money will go towards the creation of a new underground home to showcase Magna Carta and the Charter of the Forest, which will be named the David P.J. Ross Magna Carta Vault in honour of the foundation’s contribution. Lord Cormack, chairman of the Historic Lincoln Trust, said: “We are extremely grateful to the David Ross Foundation for ensuring that Lincoln Cathedral’s copy of Magna Carta, one of only four to survive, will be displayed in a special purpose-built vault in Lincoln Castle.